Reps summon Fashola over comments on budget – Royal Times of Nigeria. 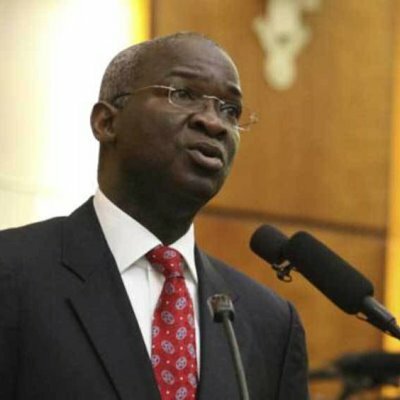 The House of Representatives has summoned the Minister of Works / Power / Housing, Mr. Babatunde Fashola, to explain why he described members of the National Assembly as having stark and worrisome knowledge of the budget process in one of his recent statements released . The Lawmakers are angry over Fashola’s comments on the 2017 budget, which they say are meant to incite Nigerians against the legislature. Fashola had challenged the authority of the National Assembly members to insert projects that his ministries did not include in the 2017 budget. He accused the National Assembly of slashing N21 billion off the N31 billion proposed for the Lagos–Ibadan Expressway. During plenary today. the House said the minister was part of the discussions that produced the budget. One of the members of the House, Hon. Sadiq raised a point of order on comments made by Fashola and asked that the Minister should be summoned to appear before an ad-hoc committee of the House. Speaker Dogara called for a vote and majority of the lawmakers voted in support of the motion. The date for his appearance was however not announced.